“The Skank Reflex Analysis” — The gang deals with the aftermath of Penny and Raj’s night together, while Sheldon takes command of the paintball team, on the fifth season premiere of THE BIG BANG THEORY, Thursday, Sept. 22 (8:00-8:31 PM, ET/PT) on the CBS Television Network. 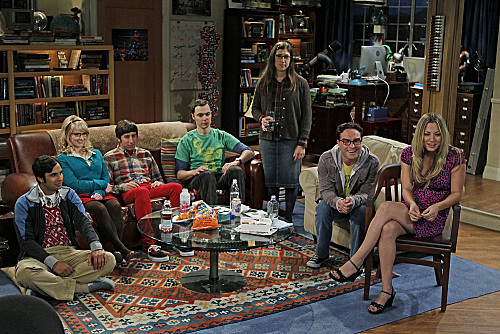 Pictured (left to right): Kunal Nayyar, Melissa Rauch, Simon Helberg, Jim Parsons, Mayim Bialik, Johnny Galecki, Kaley Cuoco. Â©2011 CBS Broadcasting Inc. All Rights Reserved.